When your AC system is on the fritz and you live or work in Florida, there is no time to waste. It is of the utmost importance that you schedule an AC repair as soon as possible to keep occupants cool and comfortable. At Caldeco Air Conditioning & Heating, we can quickly dispatch experienced technicians to your home or office to complete repairs on a wide range of makes and models. Your AC system is one of the most expensive appliances that you can purchase for your home or business, so it’s important to ensure that the company you hire to complete service and repairs is reputable, skilled, and experienced. Caldeco Air Conditioning & Heating is renowned throughout Central Florida as the Hometown Experts, and we can complete nearly any repair quickly and efficiently. Caldeco Air Conditioning & Heating will always do our part to extend the life of your existing unit, but if for some reason your unit is beyond repair, we also offer top-quality, new AC systems, as well as affordable installation services. Of course, the best way to avoid costly AC repair services is to regularly maintain your unit, and at Caldeco Air Conditioning & Heating, we are proud to offer several cost-effective AC maintenance programs to help you do just that. These programs provide a wide range of benefits. Our annual plan even comes with 15% off repairs, priority scheduling, FREE overtime, and more. Learn more about our AC maintenance programs now! 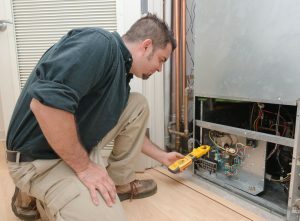 If you own a home or business in Clearwater, Brandon, Trinity, Wesley Chapel, Land O’ Lakes, or elsewhere throughout Central Florida and are in need of AC repair, AC maintenance, duct cleaning, new AC system quotes, air filtration, or have any other HVAC-related needs, contact your Hometown Experts at Caldeco Air Conditioning & Heating today. We look forward to serving you!